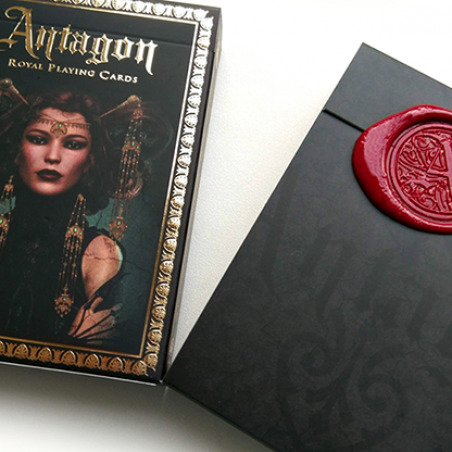 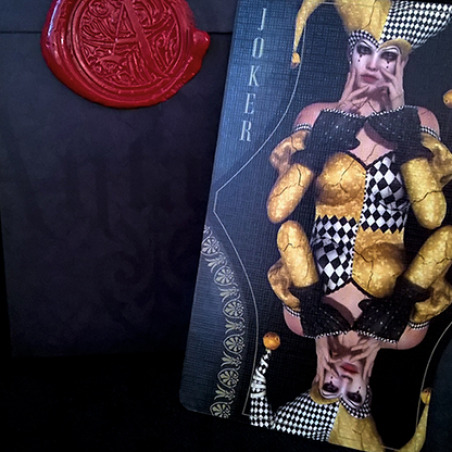 Antagon Royal Red Seal Playing Cards, designed by SixtyFourPlayingCards, is a unique and elegant deck of playing cards for collectors, where the Court and the cards are all created with an original design. 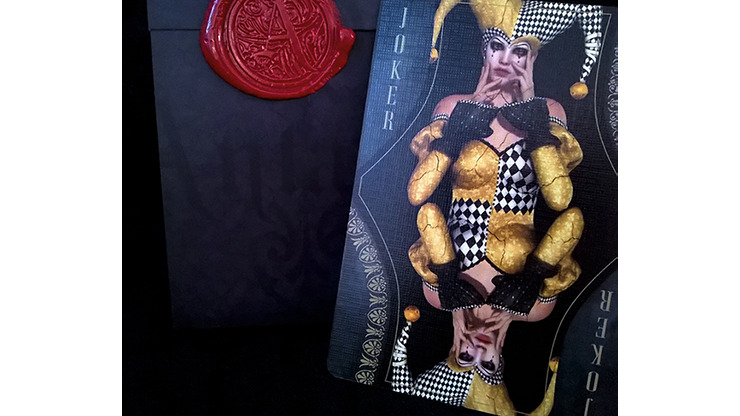 It is a limited and numbered edition. 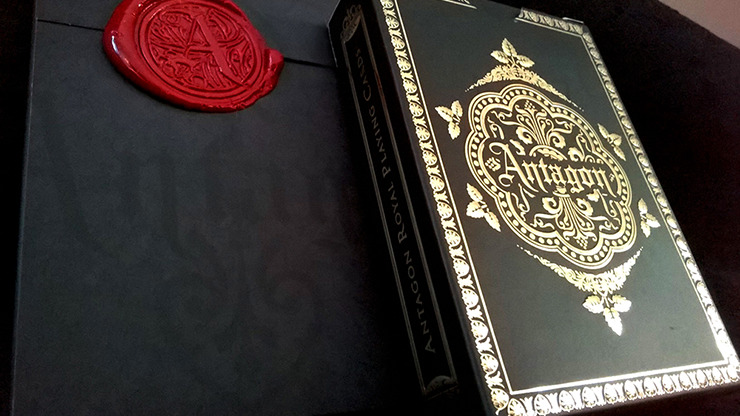 This version is wrapped in black paper with a custom wax seal. 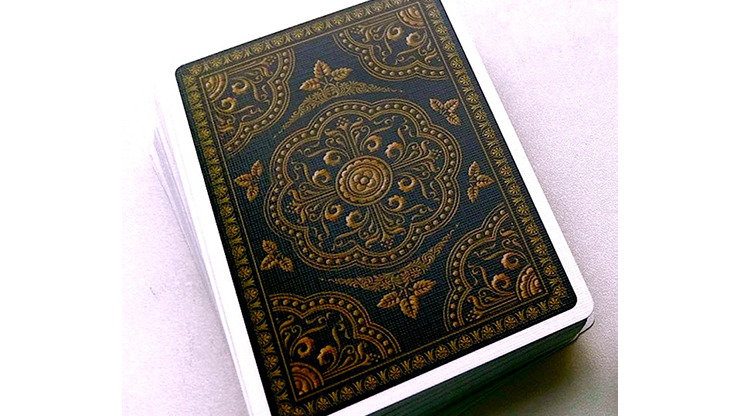 A completely handmade work. 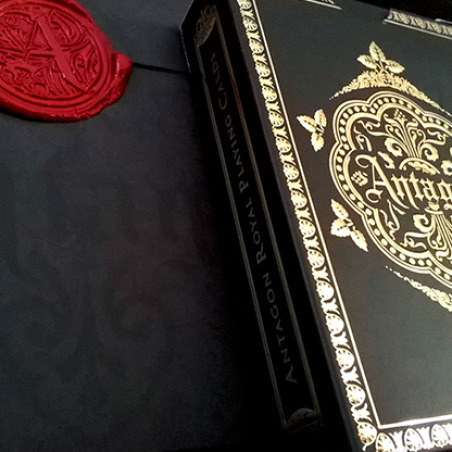 The tuck case is very luxurious with embossing and foil. 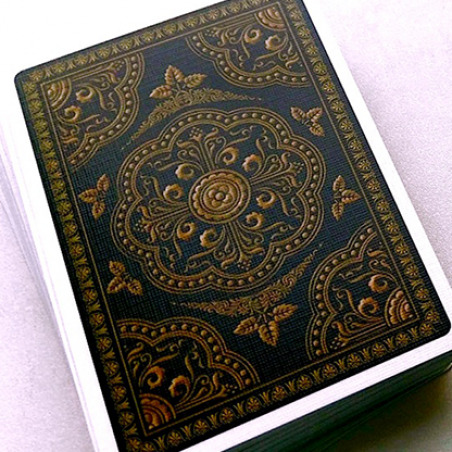 The numbered cards are delicate, and this worn background reinforces their medieval inspiration. 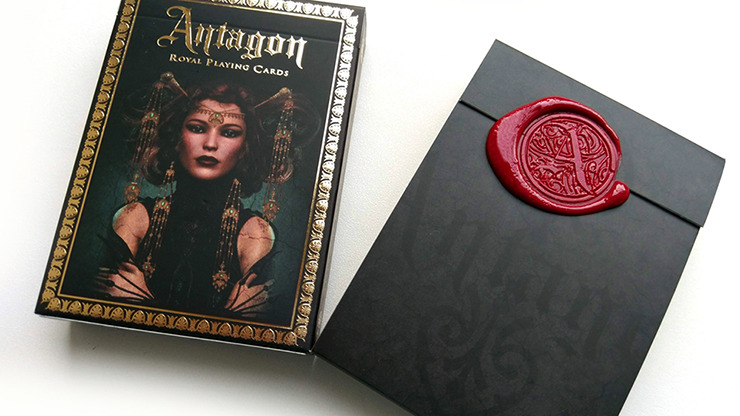 The back shows a traditional intricate design made with natural shapes.